Sandeep 's World >> Sprout on the rock! Sandeep 's World >> Thru' the Lens >> Sprout on the rock! 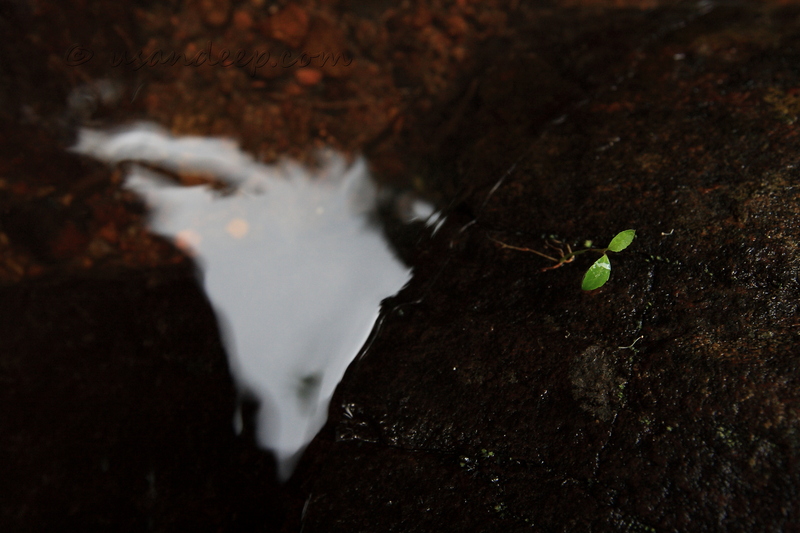 Saw this little sprout on the rock, when we stopped for a bath at a stream near Kalladi, after an awesome Muthappanpuzha - Wayanadan Mala - Kalladi trek. I tend to like the tinge of green set against a wet and dark background. The pic is very similar to 'Leaves, rocks and stream, en route Kalladi', but the green is smaller this time!